Emergency Plumber Dublin – Plumbing Paramedics Dublin has become one of the most sought after emergency plumber Dublin operations across the city and county of Dublin. If you are in need of a professional emergency plumber Dublin service at any time of the day or night, then do not hesitate. No matter where you are located in Dublin city or county, or in the surrounding areas of Meath, Louth and Wicklow, we answer all of our emergency plumber Dublin callouts within one hour. 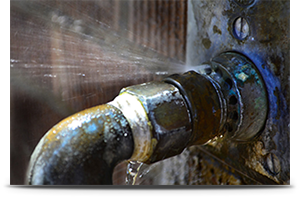 We are a fully qualified plumber service and we can fix a huge variety of plumbing problems, including blocked drains, gas and oil boiler problems, leaking pipes and heating systems. We pride ourselves on excellent client services and budget-friendly plumbing. Our emergency plumber Dublin technicians are highly skilled plumbing experts, who are trained and have experience in providing a quality heating & plumbing service in Dublin. We are fully insured and fully qualified plumbers in Dublin, guaranteeing complete peace of mind for our clients when we carry out work on their behalf. Whether you are in need of an emergency technician, or a professional to deal with a routine servicing or repair job, what you need most of all is access to trusted plumbers who will undertake the work for you. Plumbing Paramedics Dublin in your reliable plumbing service for all plumbing issues, regardless of when they arise. We will come to your home or work location at any time, day or night, for repairs, installations or replacements. At Plumber Services Dublin, we endeavour to be your trusted plumbers service by ensuring that you are fully satisfied with our level of workmanship and we ensure we complete the job to the highest of industry standards. Plumbing Paramedics Dublin has been operating for over 10 years, proving an unrivalled plumbing service to both domestic and commercial clients. 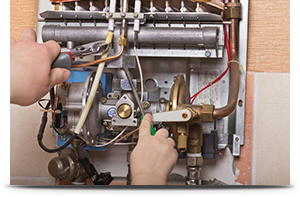 Our services also include boiler installation and maintenance. We provide a 24 hour call out service for all your boiler requirements. All of our gas engineers are registered with RGII and fully insured which guarantees a safe and legal job whether for Gas boiler service, repairs or upgrade. Looking for Plumbers in Dublin? Plumbing Paramedics Dublin is a plumbing & heating company servicing all of south Dublin with the right knowledge and experience for all of your commercial and domestic plumbing needs. 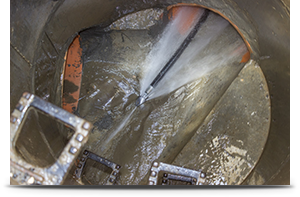 We are a respected team of plumbers in Dublin who can cater for all of your plumbing needs whether you find yourself in the unfortunate situation of having blocked drains, no hot water, leaking or burst pipes, or a blocked toilet that is not flushing properly. And if you have any bathroom renovations project you want to discuss, then we are the plumbers to Dublin to talk to. Call us on 01 539 4663 for a prompt and reliable service. Our plumbers can get to you generally within 1 hour of your emergency call. We have over 10 years experience in all aspects of heating and plumbing in Dublin and we ensure to give all our clients a highly skilled service at competitive rates in Dublin city. If you are in need plumbers in Dublin, whether its our emergency plumber Dublin service, or standard installation or maintenance work carried out by professional plumbers, then we are the plumbers in Dublin that you should speak to. Contact us on 01 539 4663. Alternatively email info@plumberservicesdublin.ie, and we will assist you in any way we can. Also for a qualified plumber Arklow you can contact us. We have a team of dedicated staff on call in Arklow to provide you a service that you can trust.